This Wild Turkey and Venison Bacon Pizza Recipe is brought to you from the hosts of Drury’s THIRTEEN and Dream Season: The Journey. 2. To make topping, brown wild turkey meat in 1 teaspoon of coconut oil over medium heat. Next, add venison bacon and cook for 7 minutes. Add 1 more teaspoon of coconut oil, red peppers, garlic powder, mushrooms and sauté. Add salt and pepper to taste. 3. Spread pizza sauce onto pizza crust. Add shredded cheese and topping mixture. 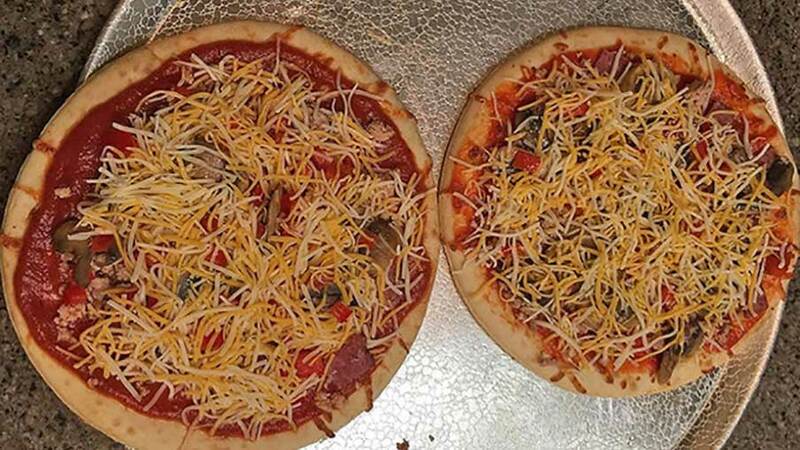 Bake pizza at 400 degrees for 8 to 10 minutes or until crust is golden brown.